Azra’s mother in law requests to give the jewellery that she got to give it to her daughter and in return she promises to remove Mona from Shahmeers life. Shahnawaz’s wife continues to complain about her inlaws. Azra hands over her jewellery to her mother in law. The inlaws continue to favor Azra over Mona but for their own selfish motives. Shahnawaz comes home and tells her sister to return the jewellery to Azra. 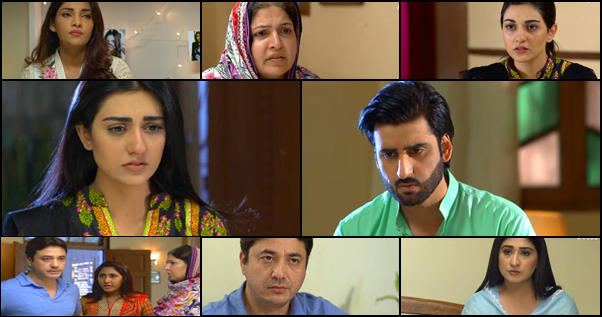 Shahnawaz’s sisters and her mother continue to doubt his intentions towards Azra as he develops sympathy towards her bhabhi. Shahmeer continues to spend time with Mona. 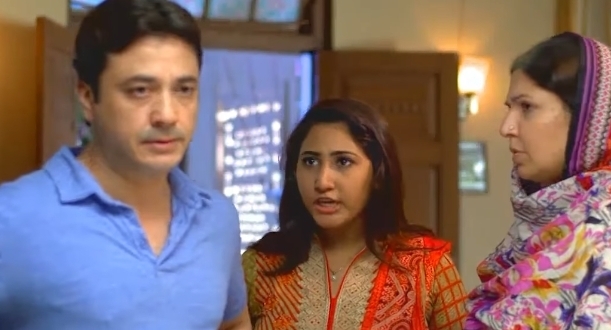 Shahnawaz slaps his younger sister when she tells him not to get too close to Azra. Shahnawaz leaves the house in anger. The mother in law calls Shahmeer when Shahnawaz leaves the house. Shahmeer wants Mona to live in his house. The mother does not agree to it. The mother gets upset at both of her sons. Azra tries to stop shahmeer but he doesn’t stop. Shahnawaz meets his wife Muskaan and understands finally that she wasn’t wrong. He decides to live over there. The mother argues with her daughters and blames them for her sons leaving him specially shahnawaz.